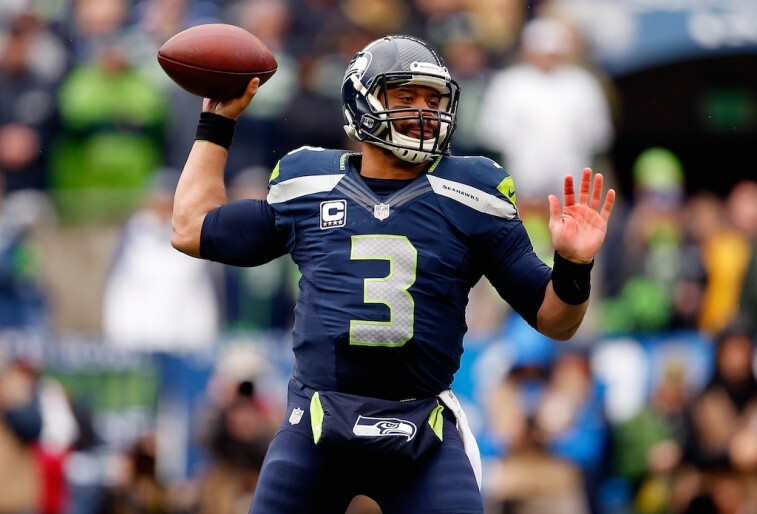 For what seemed like the longest time, the Seattle Seahawks and Pro Bowl quarterback Russell Wilson had been at an impasse over his new contract. After leading the organization to two straight Super Bowl appearances — including one victory — the former Wisconsin Badger believed he deserved to be paid like one of the top quarterbacks in the National Football League. The Seahawks, while more than aware of the young QB’s importance, have always believed that no individual player is more valuable than the team. With the two sides clearly not seeing eye to eye, we began to wonder if the team would actually let their franchise quarterback walk. We were fools to think that was even a possibility. As first reported by The MMQB’s Peter King, Wilson and the Seahawks officially reached an agreement on a new four-year deal, worth $87.6 million. The contract includes a signing bonus of $31 million and offers the quarterback $60 million in guaranteed money. If the 26-year-old was looking to be among the most valued players at his position in the league, this new contract should certainly do the trick. Based on the figures of the deal, Wilson will now make an average of $21.9 million a year. You don’t usually see former third-round draft picks pulling in that kind of cash. However, when you’ve accomplished as much as Russell Wilson has in his first three years in the league, you tend to be an exception to the rule. So how does this new contract compare to the other top gunslingers in league history? Let’s find out. Here’s a look at the five quarterbacks with the highest average annual salaries ever. Since being taken No. 3 overall in the 2003 draft, Matt Ryan has been exactly who the Atlanta Falcons were hoping he’d be. He’s smart, consistent, and cool under pressure. And while the team hasn’t been to the playoffs since the 2012 season, it wouldn’t be fair to place all the blame on Ryan’s shoulders. 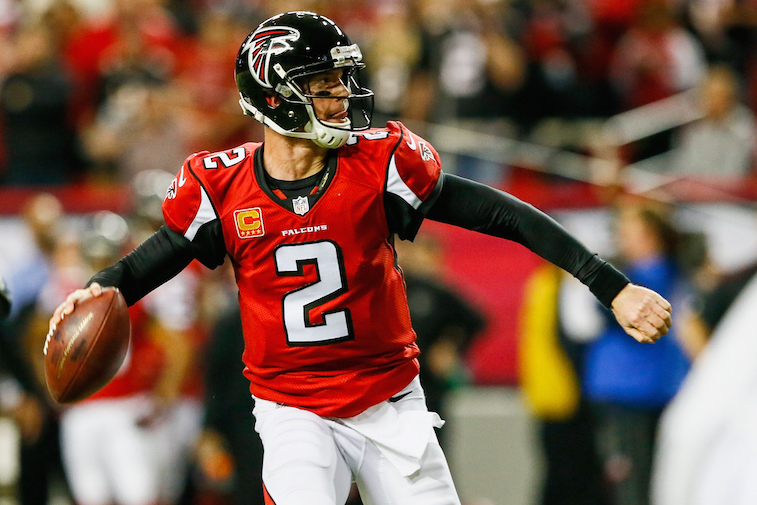 After all, Matty Ice is a three-time Pro Bowler and led the Falcons to the postseason four times in his first five seasons in the league. He’s a true franchise quarterback who rightfully earned the five-year, $103.75 million deal the team gave him back in 2013. With that big-time contract, Ryan comes in with the fifth highest average annual salary — $20.75 million — out of all the quarterbacks in the NFL. The Carolina Panthers believe former Heisman Trophy winner Cam Newton is the guy to lead this team to the promised land. And when you find a player like that — especially at the quarterback position — you pay him. You pay him BIG. 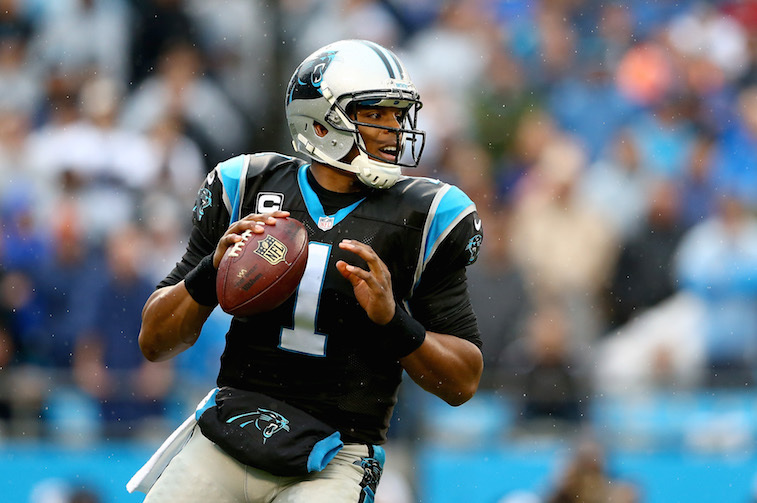 The deal Newton signed during this 2015 offseason was, by all account, set the market. At five years, $103.8 million, the 6-foot-6 QB received $60 million dollars in guaranteed money and will make an average of $20.76 million a season. With a contract of this magnitude, the Panthers showed a lot of faith in the 26-year-old. Time will tell if they get a solid return on their investment. 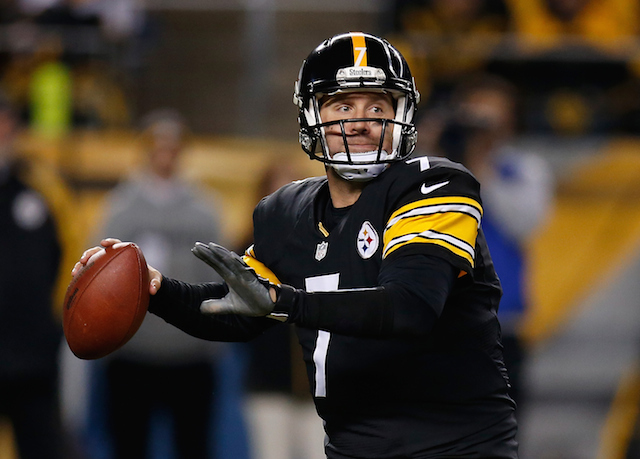 Ben Roethlisberger was originally set to make $11.6 million in 2015. That was before the two-time Super Bowl winner and the Pittsburgh Steelers came to terms on a much-deserved extension in March. Although the new deal has a base salary of $99 million over five years — with a chance to escalate to $108 million — the contract actually provides Big Ben with $87.4 million in new money. For his excellent work on the gridiron, Roethlisberger will now see himself with an average annual salary of $21.85 million — the third highest all time among quarterbacks. Russell Wilson was willing to play out the final year of his rookie contract. However, he believed things with the Seahawks would eventually work out. He was right. This new four-year deal reaffirms just how much Seattle values the younger quarterback’s services. 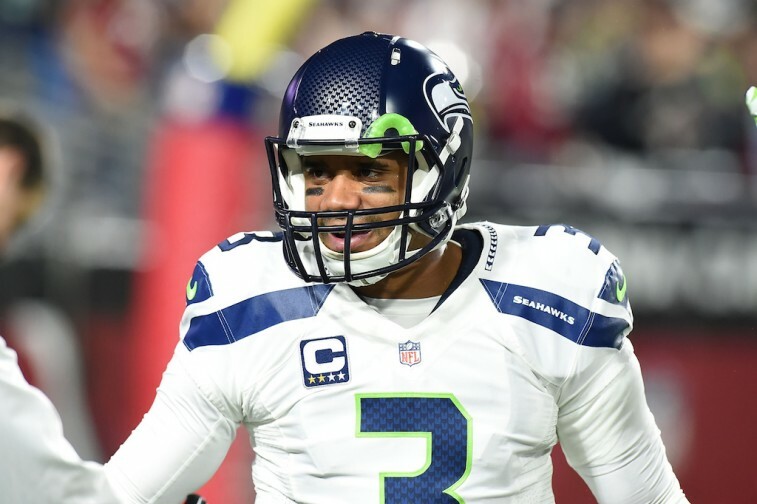 Aside from the $31 million signing bonus and $60 million in guaranteed money, Wilson will also be the second highest-paid quarterback — in terms of annual average salary — in the NFL, at $21.9 million. If Wilson wants to thank the organization for its generosity, a third straight trip to the Super Bowl would be a good place to start. When you’re the top quarterback in the National Football League, you deserve to be paid as such. This is exactly what the Green Bay Packers did for Aaron Rodgers in 2013, when the two sides came to terms on a new five-year, $110 million deal. According to Spotrac’s figures, this contract earned the two-time league MVP a $33.25 million signing bonus and provides him with $54 million in guaranteed money. The baddest man in all the land sits alone above the rest of the quarterbacks in the National Football League, making $22 million per season. 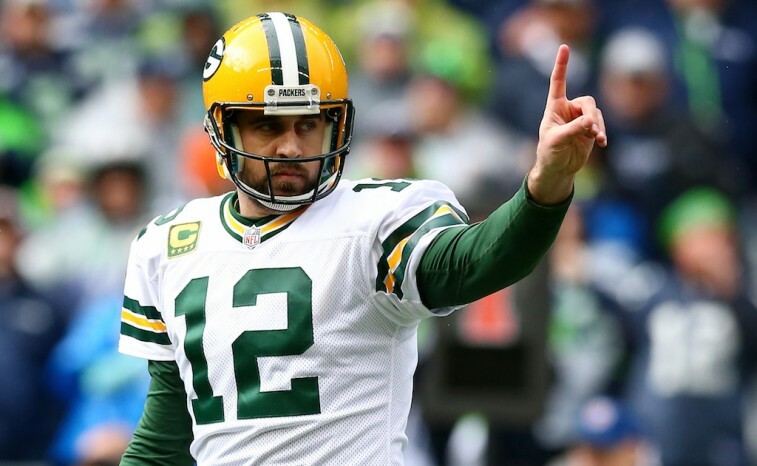 In terms of overall talent and the money to back it up, there is no one better than Green Bay’s No. 12. All statistics are courtesy of Spotrac, The MMQB, Pro-Football-Reference.com, and ESPN.go.com.